Dr. Marsh began his career at the Smithfield Medical Center (Va.), seeing general family practice patients. While there, he was an Associate Professor in Community Medicine at Eastern Virginia School of Medicine (EVSM). One of his responsibilities was teaching rural family medicine to medical students. After six years Dr. Marsh moved to Zebulon, NC and opened Zebulon Family Medicine. While at Zebulon Family Medicine he was an Associate Professor at both the UNC School of Medicine and Duke University Medical School. Once again his duties included instructing medical students and Family Nurse Practitioner students in rural family medicine. Currently he is a team physician at Transitions LifeCare. 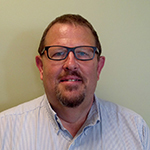 His interests include pain assessment and management in the cognitively impaired patient and expanding hospice and palliative care services to underserved rural areas in North Carolina. Carolinas Center for Hospice and End of Life Care conference, Hilton Head, S.C., “Pain Assessment in the Cognitively Impaired Hospice Patient,” September, 2006. Breakfast for Brainiacs audio conference, “Pain Assessment and Management in the Cognitively Impaired Hospice Patient, Part 2,” April 2007. Wake AHEC’s Time is Brain conference, “Breaking Bad News: Having ‘the Conversation’,” October 2013.